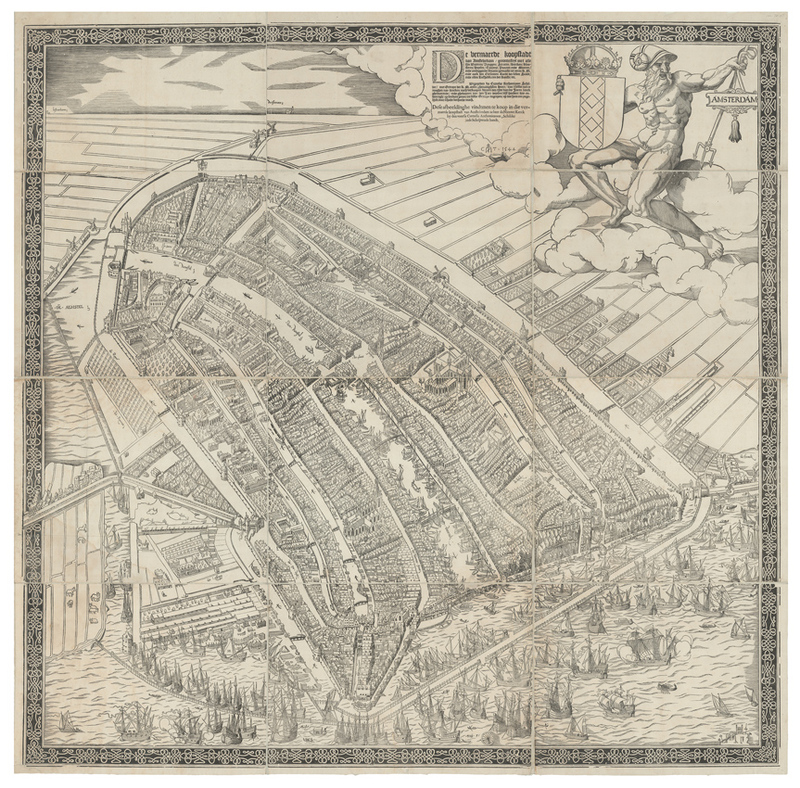 The first printed map of Amsterdam, a 1544 woodcut by Cornelis Anthonisz, is available at TEFAF Maastricht from the stand of Daniel Crouch Rare Books. The dealership will also provide virtual reality tours of the map during the fair. A shake-up to the exhibitor list and a revamped vetting policy has already marked the upcoming staging of the major European fair, which runs from March 6-24. Below is a taste of some of the objects in store from Regency silver to tribal art. For the first time at TEFAF Maastricht an exhibitor will incorporate virtual reality into their stand. Daniel Crouch Rare Books will give visitors a chance to get inside his maps through Oculus Rift. The gallery will provide the headsets and offer tours through the first printed map of Amsterdam, a 1544 woodcut by Cornelis Anthonisz as well as to Michel-Etienne Turgot’s monumental 1739 wall map of Paris. Each virtual reality session lasts three minutes and will include information about the maps, both of which are available for sale. 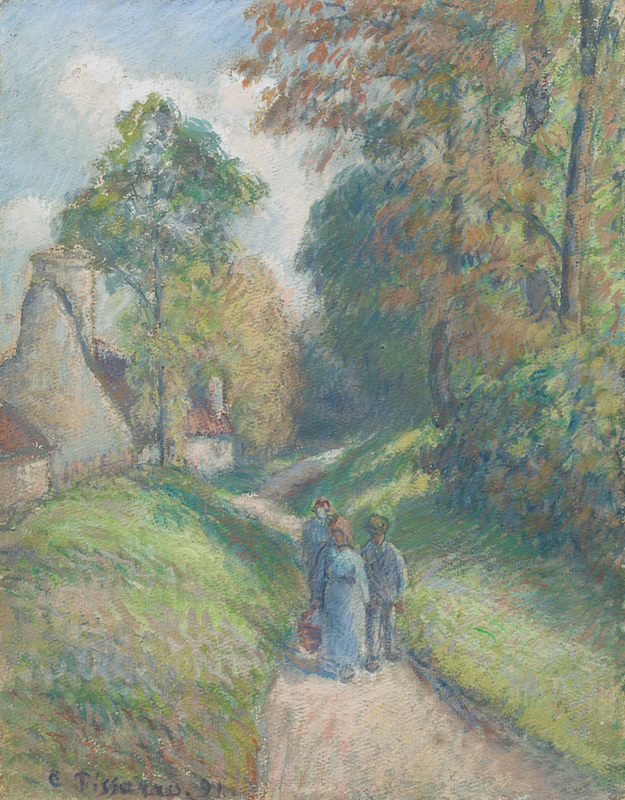 Richard Green offers Paysage avec trois paysans (1891) by Camille Pissarro at the upcoming staging of TEFAF Maastricht. Mayfair gallery Richard Green brings Paysage avec trois paysans (1891) by Camille Pissarro. The artist had moved to Eragny and, based near a thriving farmers' market, started to focus on the human figure. Like many of his works it depicts the toil of the peasant without romanticising it, while still making use of light and colour. Cindy Chao is a first-time exhibitor at TEFAF Maastricht. 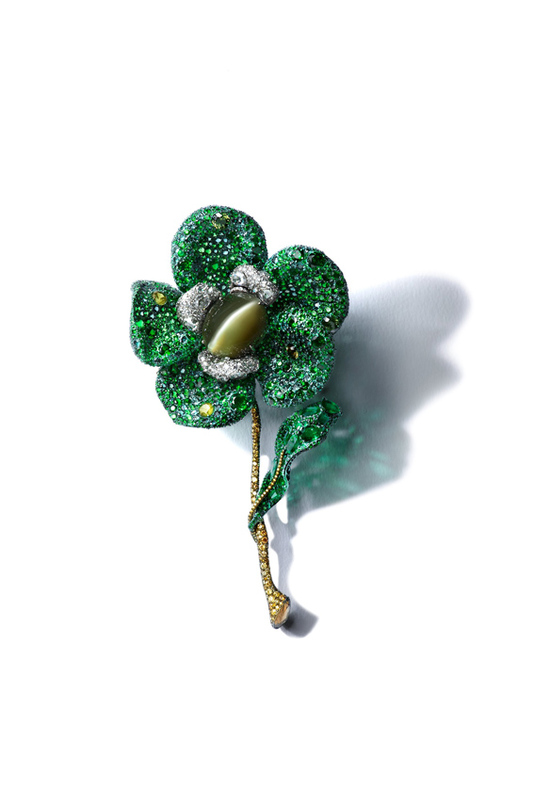 Joining the Haute Joaillerie section, she brings the Greenovia Brooch, which is crafted from titanium, 18ct white gold and silver and set with a 105-carat Chrysoberyl Cat’s eye, diamonds, and nearly 2500 pieces of six different green gemstones. Koopman Rare Art offers The Shield of Achilles by pre-eminent English silversmith Philip Rundell for £5m at TEFAF Maastricht. Described by the dealer as “the most spectacular example of Regency silver of all time”, The Shield of Achilles is a highlight on the stand of Koopman Rare Art. The Royal George IV silver-gilt masterpiece was made by Philip Rundell, a pre-eminent English silversmith. 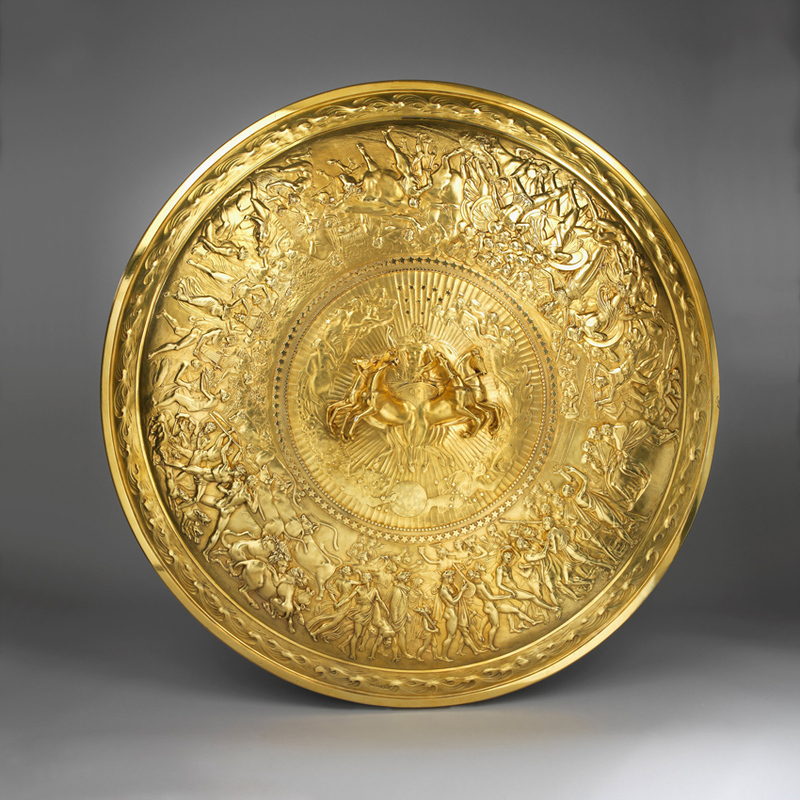 The circular shield is cast in silvergilt and chased after a design by John Flaxman. It is offered for a price in the region of £5m. Sprüth Magers offers Marry Mood, a 2016 ceramic work by Rosemarie Trockel, at the next edition of TEFAF Maastricht. 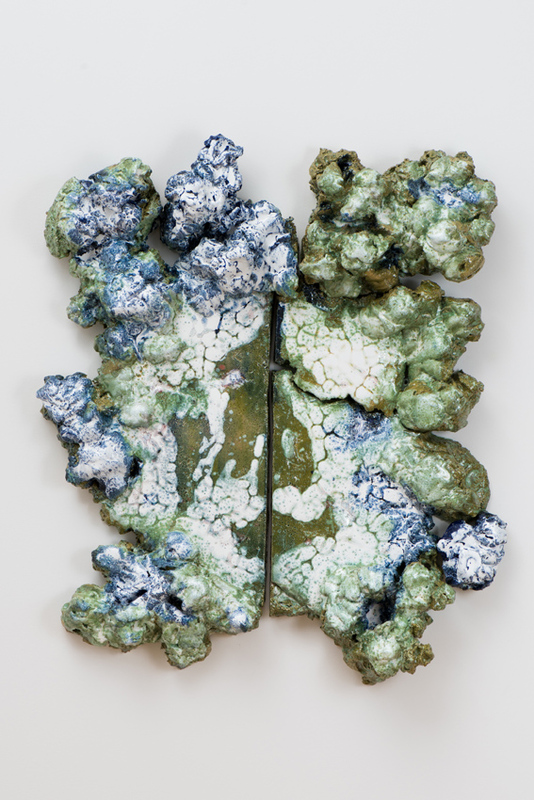 Sprüth Magers brings Marry Mood, a 2016 ceramic work by Rosemarie Trockel. The German artist has worked in a variety of media and is known particularly for her hand and machine-knitted paintings as well as sculptures and photographs. Sprüth Magers is among the first-time exhibitors at this staging of the fair and is part of TEFAF Modern. This Songye Kifwebe mask is from what is now the Democratic Republic of Congo and is available at TEFAF Maastricht from the stand of Didier Claes. 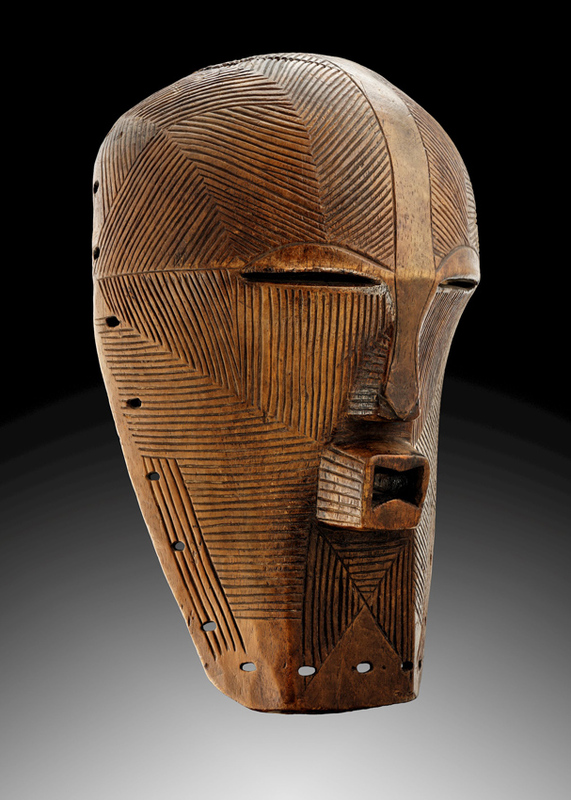 Didier Claes, part of TEFAF Tribal, offers Songye Kifwebe mask. Made in the late 19th or early 20th century, the wooden mask is from a private Belgian collection and originally came from what is now the Democratic Republic of Congo.